The small town of New Denver has a population of around 600 people. The history of the area includes logging, mining, Japanese Internment Camp, homesteading, retirement and recreation. The community of New Denver used to be an old mining town in the late 1800's. 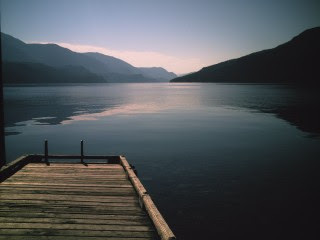 Set on the North Eastern shores of the Silvery Slocan Lake. New Denver also served as a Japanese internment camp during the Second World War. The Nikkei museum and Japanese Garden are worth seeing as well as a tour of the 'old' part of New Denver known as 'The Orchard' where small Japanese houses may be seen. New Denver is visited by those looking for relaxation, amazing scenery and outdoor activities for all skill sets. 10. Enjoying the Slocan Lake. 9. Taking a trip to Idaho Peak. 8. Strolling through New Denver - enjoying the small stores, cafe's, Friday Market and the Mori waterfront trail. 7. Taking in the Mining History of Sandon and area. 6. Hiking or Biking the Galena Trail. 5. 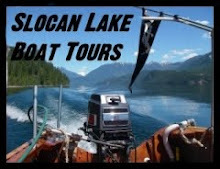 Driving tours to Kaslo, Nelson and the Slocan Valley. 4. Exploratory driving tours to Trout Lake, Meadow Creek and Kaslo. 1. Planning what you will do next time you visit. See the DVD "A Simple Curve". Filmed on location in New Denver in 2005. A beautiful film depicting some of life in the Slocan Valley.